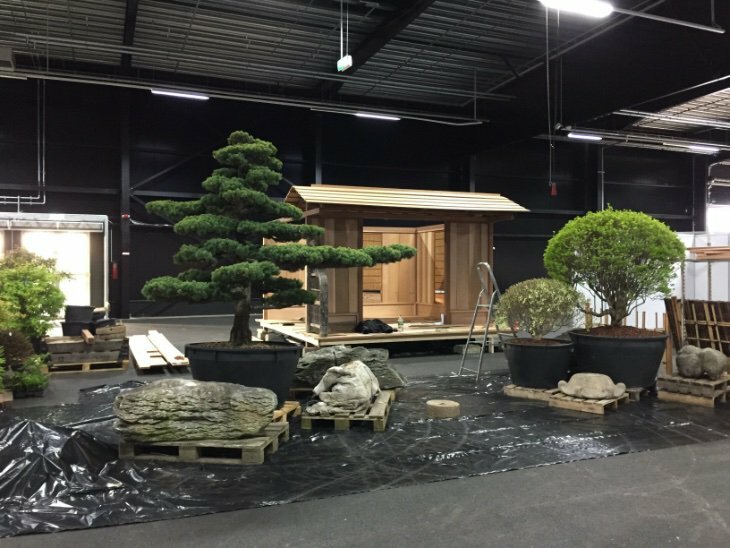 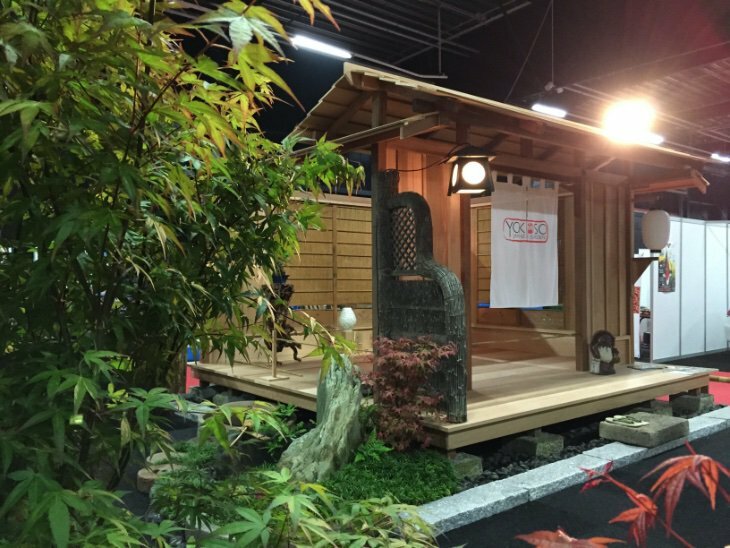 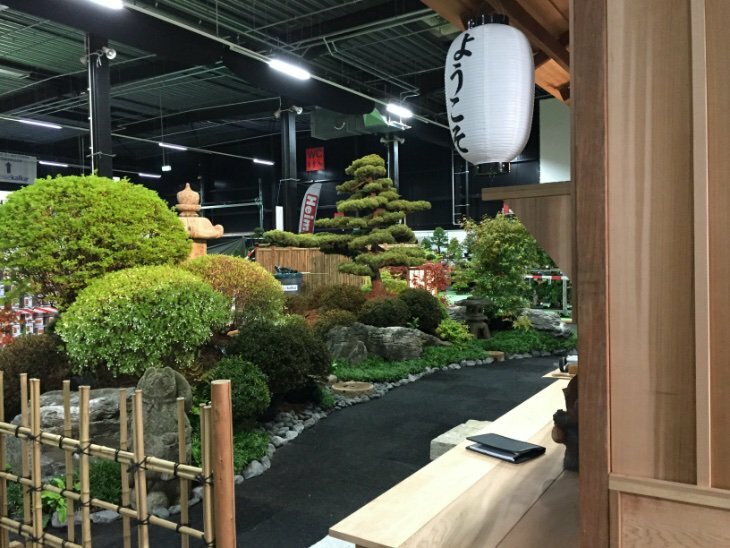 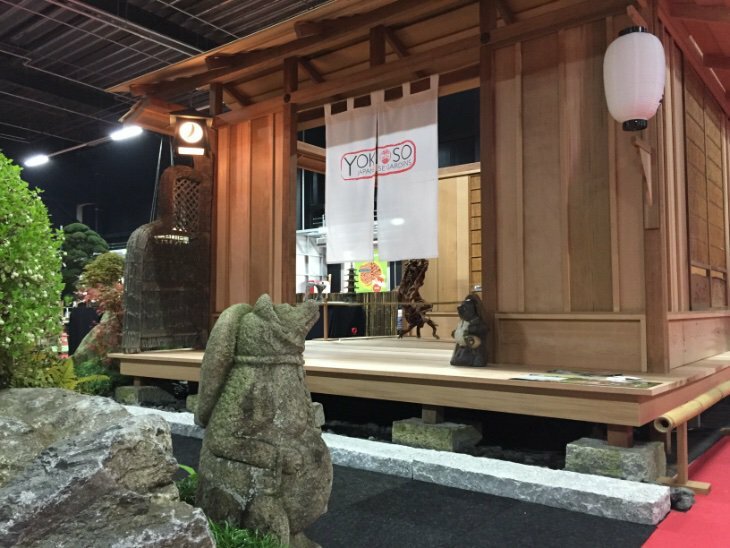 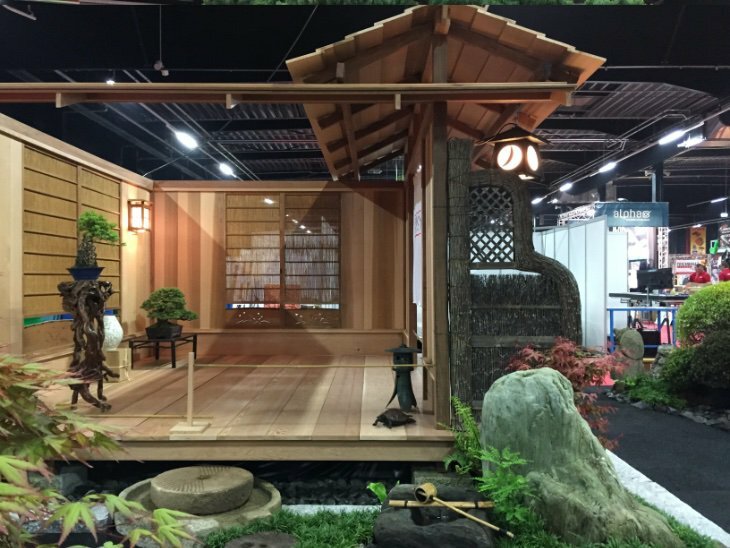 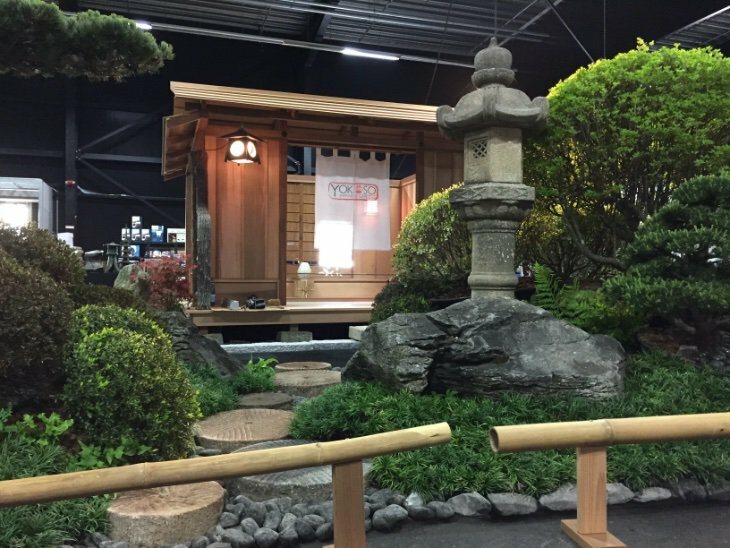 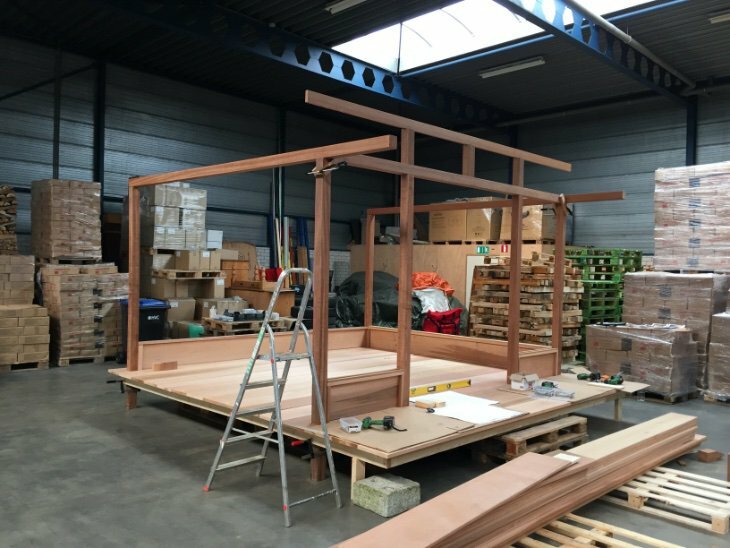 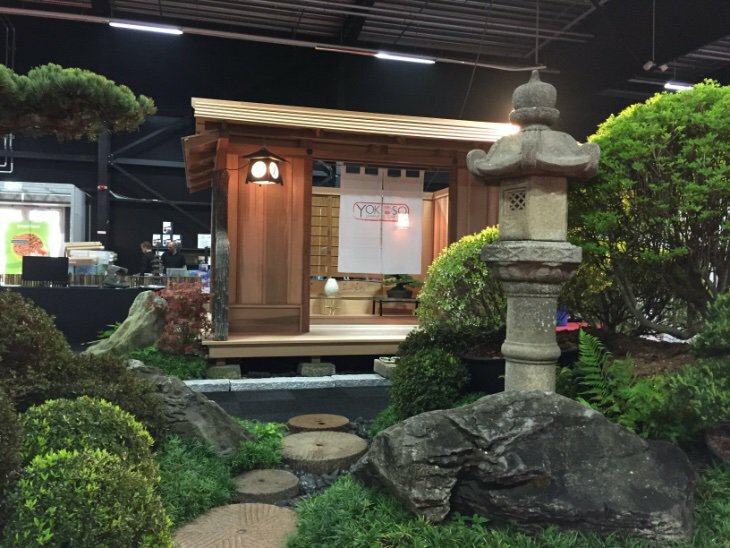 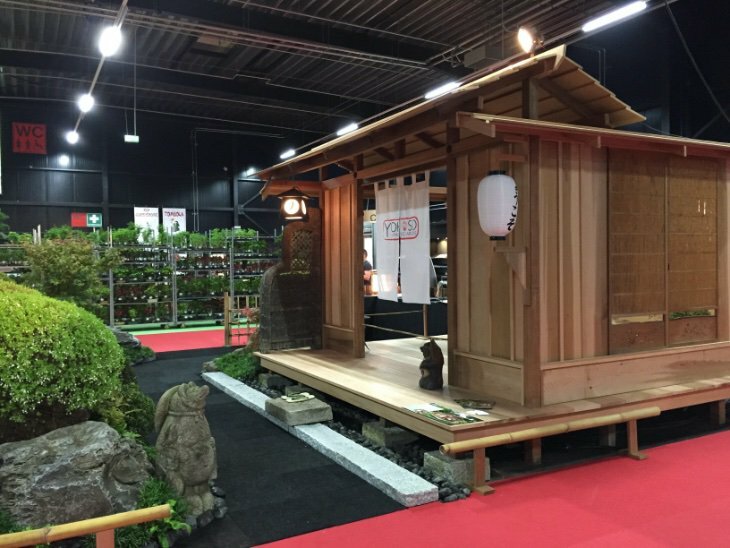 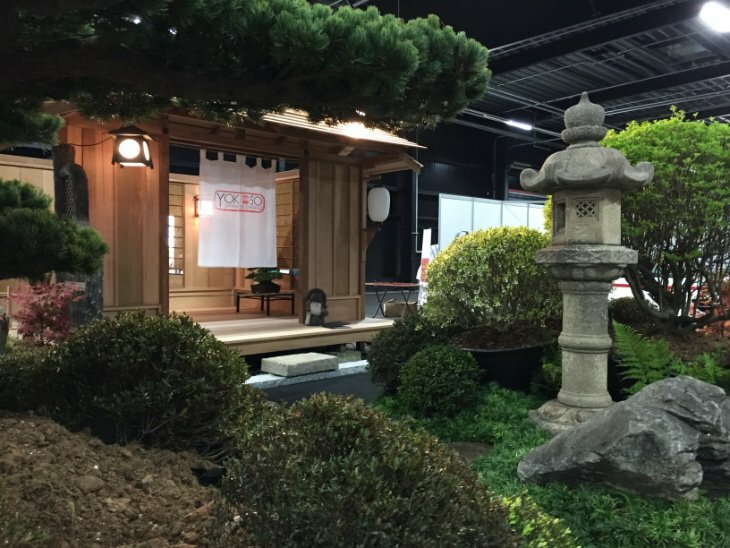 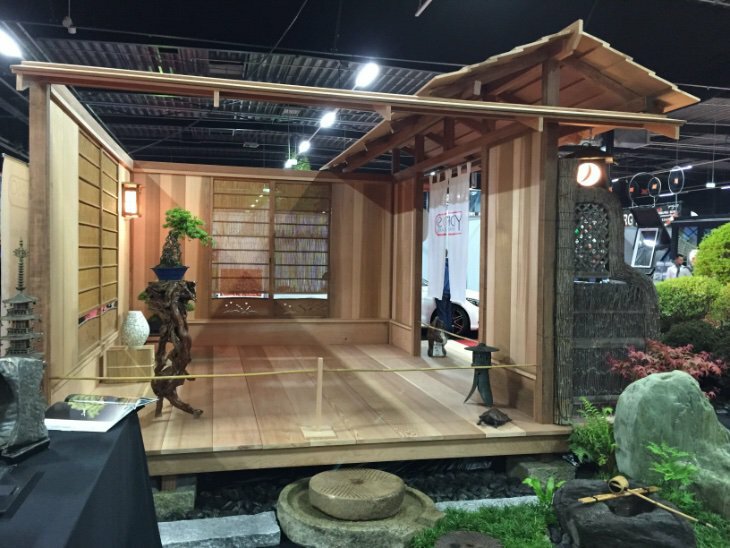 Yokoso Japanese Gardens was asked to build an exhibition stand at the Interkoi in Kalkar, Germany. 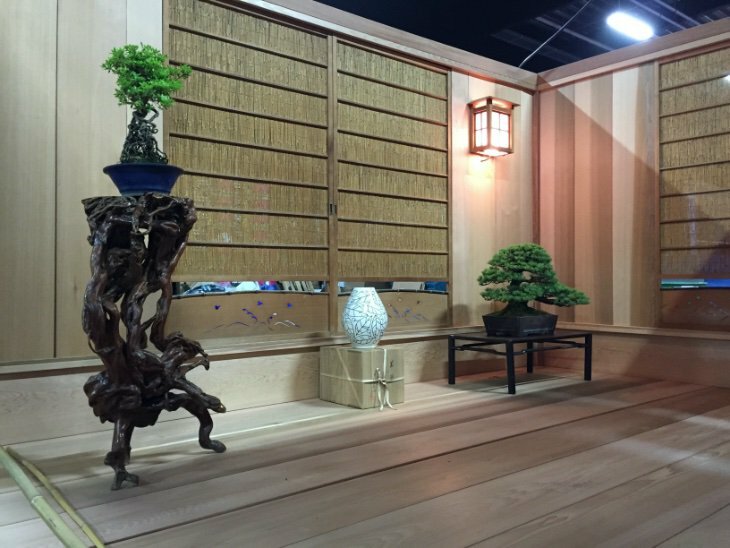 The idea was to create a little piece of Kyoto. 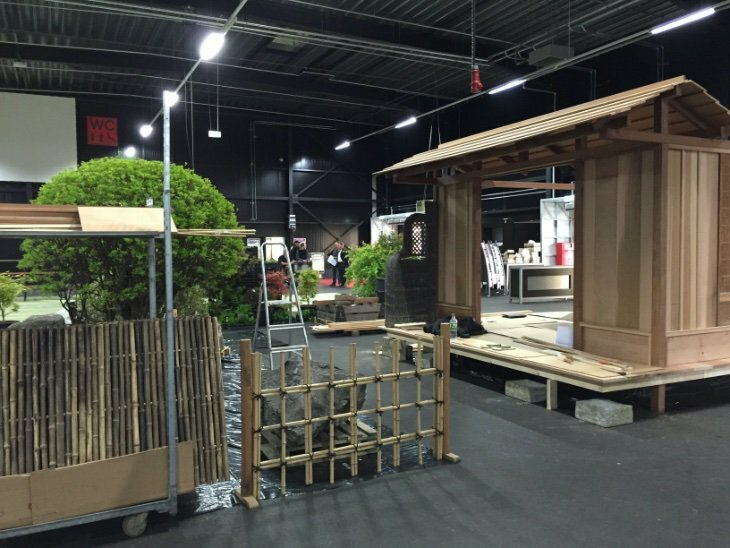 We constructed a small 4 x 4 meter teahouse/clients area from scratch. 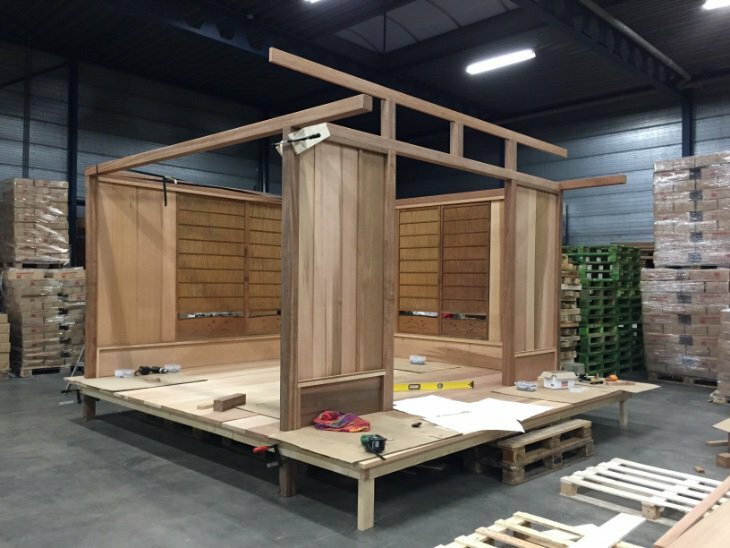 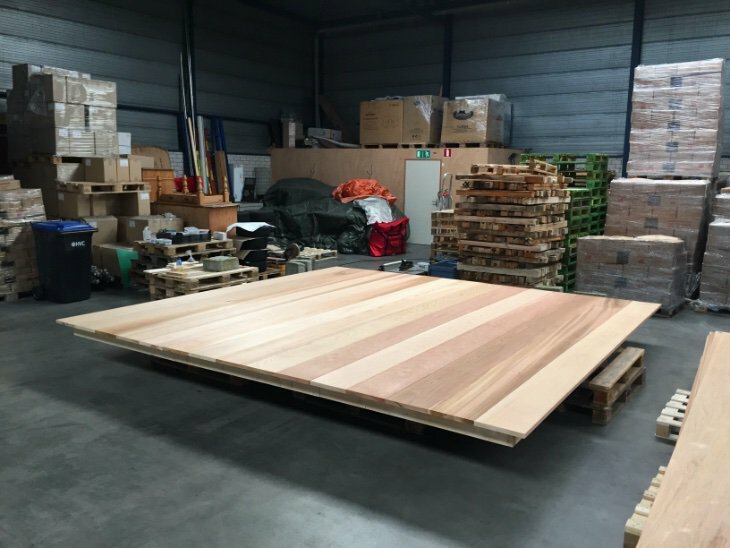 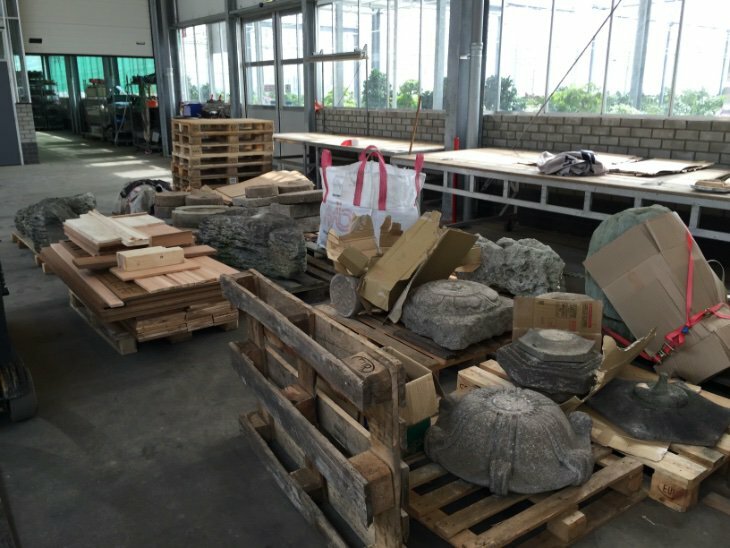 The material we used was mainly Western Red Cedar. 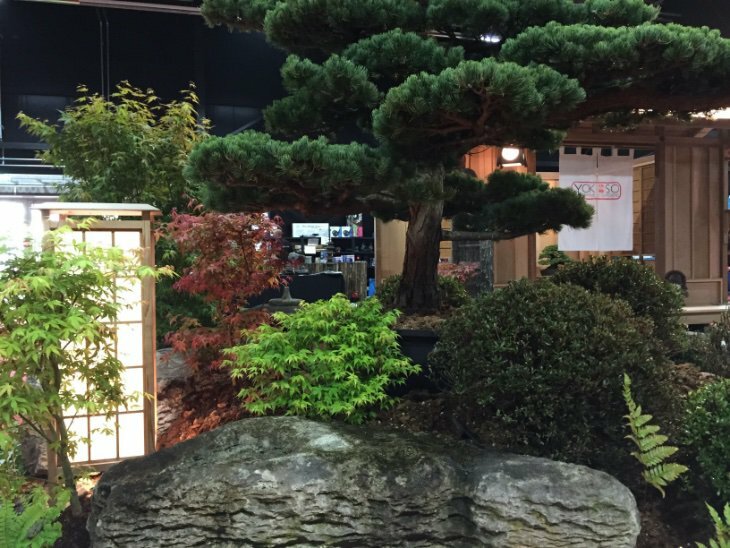 Around the teahouse we built a wonderful small Japanese garden using a variety of great authentic Japanese rocks, ornaments and trees.